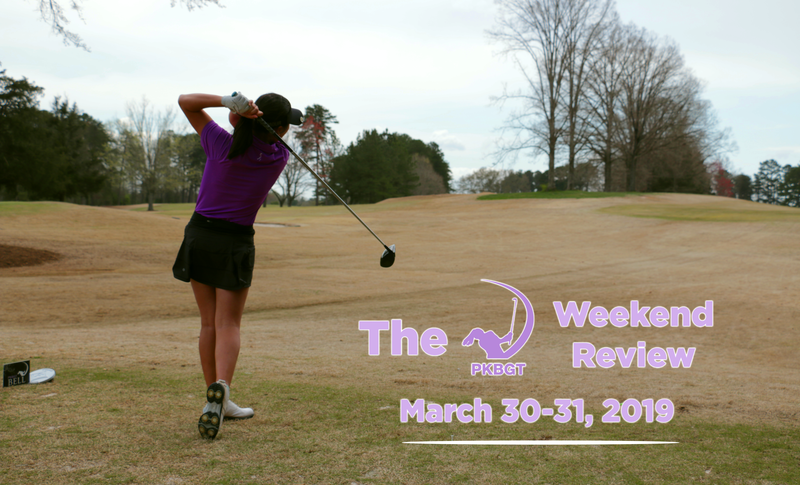 The 2019 Tar Heel Classic, one of the Peggy Kirk Bell Girls’ Golf Tour’s longest standing Classic events, takes place on Saturday-Sunday March 9-10 at UNC-Chapel Hill Finley GC. The event, known for notoriously strong fields, celebrates its tenth anniversary with this year’s contest. Recently, the Tar Heel Classic has been open for the taking, with two different champions in the past two years. Last year, Lexanne Halama (Knoxville, TN 2021) won in dramatic fashion, with a birdie on the second hole of a playoff. Alabama-commit Caroline Curtis (Richmond, VA 2019) rode a three-under final round to force a playoff, in which she won, the year prior. Throughout a four year stretch from 2013-2016, the tournament’s narrative was slightly different. Familiar faces returned to the top of the leaderboard year-after-year in that time period, and we witnessed some of the most impressive performances in tour history. In #ThrowbackThursday fashion, we take a look in the rearview mirror at some of the top players to hoist the trophy in Chapel Hill – a mere fragment of their success to come at the Division 1 level. In true ten-year challenge fashion, we must begin with the inaugural PKBGT event at Finley GC. The year was 2010 and the event was known, at the time, as the NC University Classic. Sarah Bae (PKBGT Class of 2013) ran away with the championship after posting a final-round 69 (-3), winning the event at one-under par. Bae would go on to a successful collegiate career including three tournament victories in two seasons at High Point University before transferring to NC State for her final two seasons. 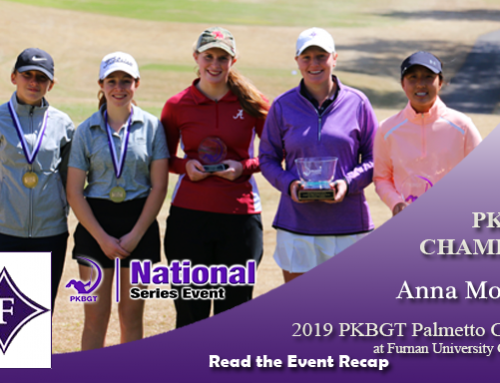 Emilia Migliaccio (PKBGT Class of 2017) owned the Tar Heel Classic for a period of time, winning back-to-back Classics. In 2013, Migliaccio finished even-par and held a comfortable two-stroke lead at the tournament’s end. 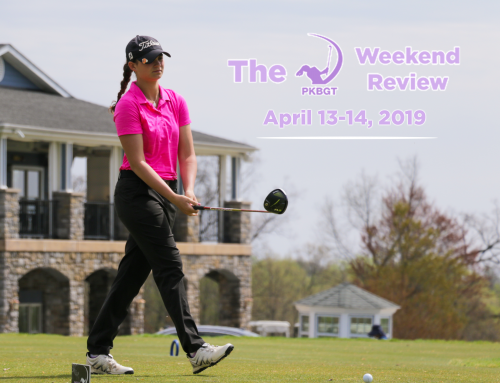 She defeated the likes of aspiring LPGA professionals Jessica Porvasnik (PKBGT Class of 2013, Ohio State University) and Lucia Polo (PKBGT Class of 2013, University of Tennessee). Migliaccio defended her title in 2014, improving by two strokes and posting a final score of two-under. 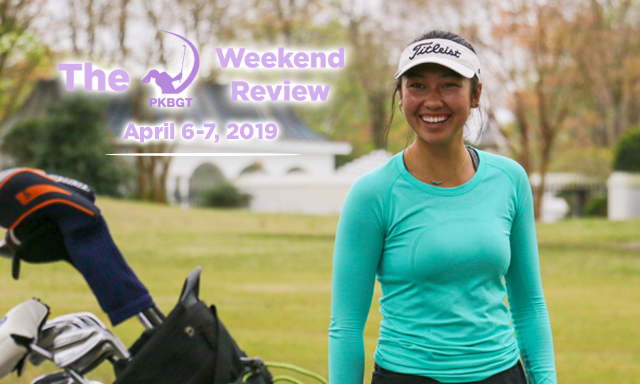 Her final-round 70 (-2) was the difference as she edged out fellow Cary, NC native, and future USC Trojan Jennifer Chang (PKBGT Class of 2018, University of Southern California). Chapel Hill’s own Gina Kim (PKBGT Class of 2018, Duke University) cracked the top five with a T4 finish, but she was only just beginning to crack the surface. In her freshman season at Wake Forest, she earned ACC Freshman of the Year, All-ACC, and Second-Team All-American honors. 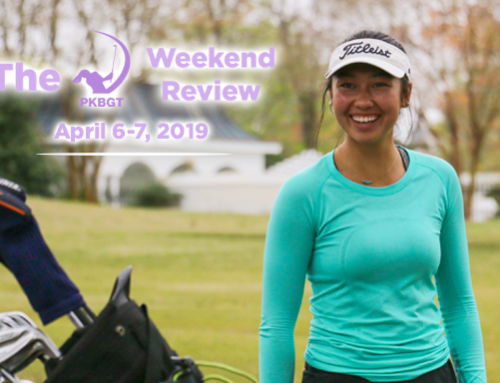 She is currently in her Sophomore season for the Demon Deacon women’s golf program and recently gave back to the next generation by delivering a compelling speech about her experiences in junior and collegiate golf at the PKBGT’s yearly Inspire. Dream. Achieve. Banquet this past November. Gina Kim was determined to let everyone know that Chapel Hill was her stomping grounds, and she became a force to be reckoned with. Along with a name change from NC University Classic to Tar Heel Classic, the 2015 tournament saw a new champion atop the leaderboard. 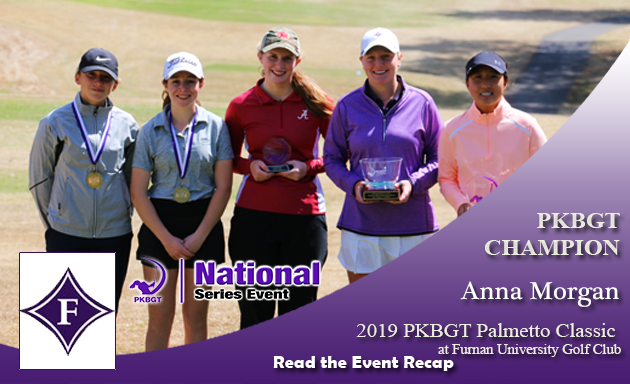 Kim denied Migliaccio of the three-peat and topped the previous tournament low, running away with the championship at four-under par including a single-round low of 67 (-5). Jennifer Chang made another run but fell short, finishing T3 alongside Migliaccio. 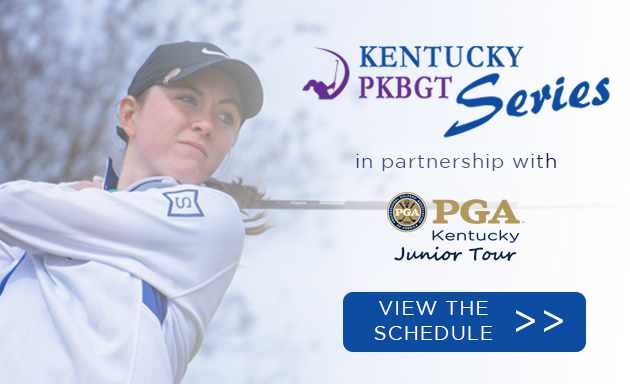 Jessica Spicer (PKBGT Class of 2016, Virginia Tech University) finished in second place with an impressive final round score of 70 (-2), but that failed to bridge the six-stroke gap that separated her from Kim. In 2016, the Tar Heel Classic might as well have been called “The Kim/Migliaccio Show” as the two battled it out once again. The scoreboard was painted red as they lit up Finley GC, producing a show for the ages. 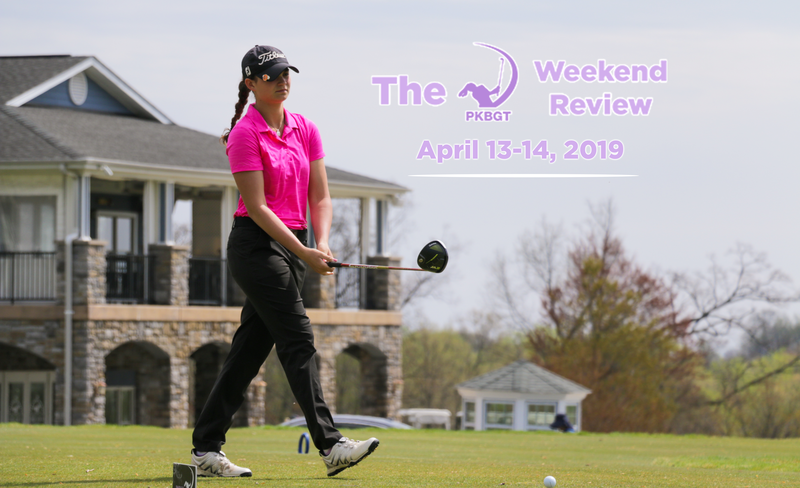 After the first round of play, it appeared as if Migliaccio were primed to take back her title after shooting a 69 (-3) on the day and holding a two-stroke lead over Kim, who shot a 71 (-1). Kim answered with the performance of a lifetime, stepping up to the challenge on the biggest stage. Her final round 67 (-5) tied her previous tournament single-round low and shattered the tournament record total score, finishing six-under par (71, 67 = 138). With her clutch performance, she catapulted Migliaccio atop the leaderboard, defending her title and winning the tournament by five strokes. Migliaccio finished the tournament at one-under par, far from a disappointing score. 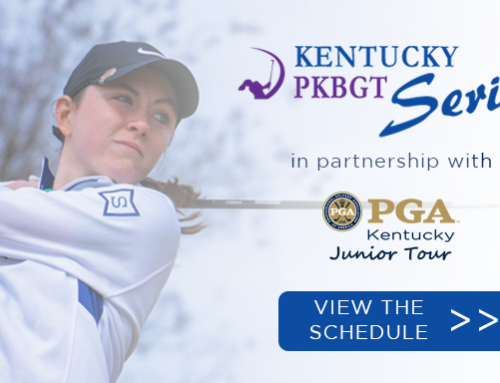 Now a freshman at Duke University, Kim finished her high school career as a Two-Time Rolex Junior First Team All-American in 2016 and 2017, and she competed in the 2018 U.S. Women’s Open. While Kim and Migliaccio provided great memories and exciting performances in the past, the field is primed for the next generation of talented PKBGT members to take over and showcase their abilities with thrilling performances! It all begins this March with the 2019 Tar Heel Classic, and there is still time to be a part of the action. 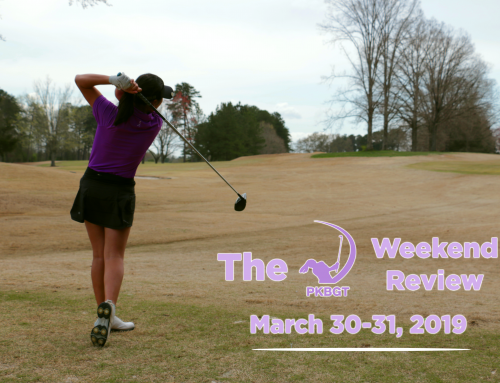 With divisions for Futures National, Prep Preview, AND Bell National players, work your way up the PKBGT Performance Index and boost your national ranking this spring by competing at UNC-Chapel Hill’s Finley GC. The February 4th commitment deadline is rapidly approaching, with over 100 applicants registered! CLICK HERE for more information on the tournament, and to see if you qualify for entry.